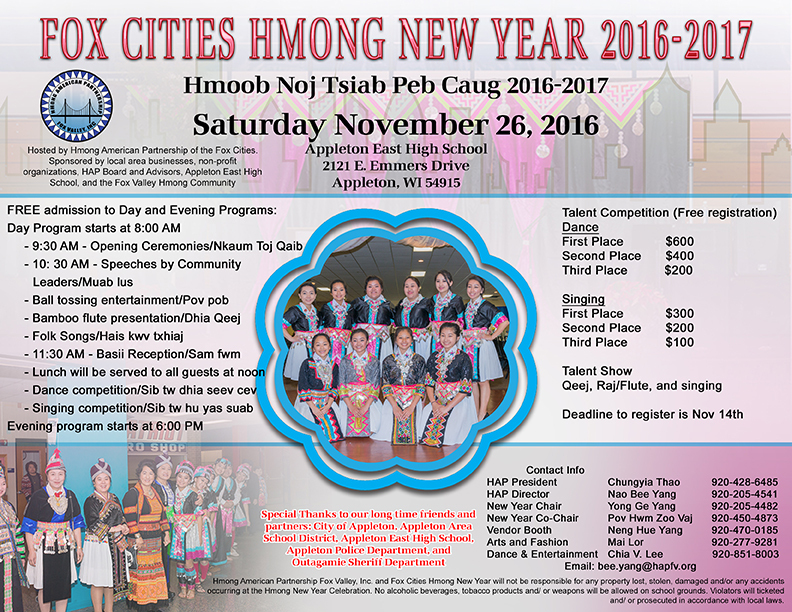 We are excited to announce and invite you to our 2016-17 Hmong New Year Celebration on Saturday November 26th, at Appleton East High School. Special Thanks to our long time friends and partners: City of Appleton, Appleton Area School District, Appleton East High School, Appleton Police Department, and Outagamie Sheriff Department. Hosted by Hmong American Partnership of the Fox Cities. Sponsored by local area businesses, non-profit organizations, HAP Board and Advisors, Appleton East High School, and the Fox Valley Hmong Community.